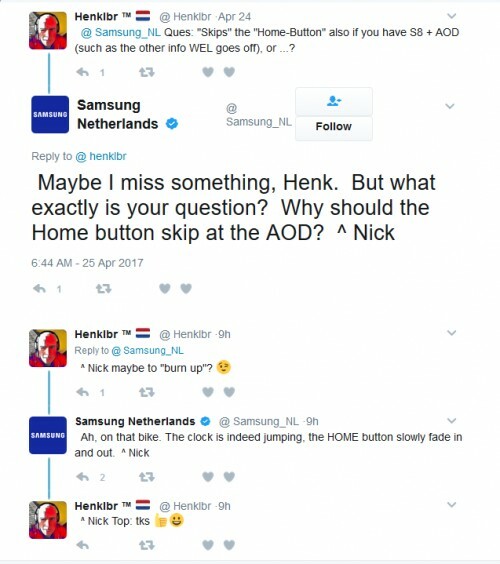 Samsung Netherlands answered a question on Twitter from a user whose concern was that the Always-On-Display would burn the home button into the pixels of the Galaxy S8. 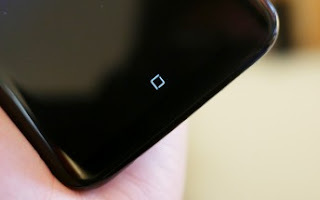 Since the Home button is now virtual, it stays on when Always-On display is enabled and can be pressed to wake the phone up, just like on previous models with a physical home button. 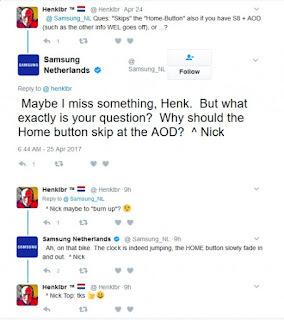 Samsung NL responded that the clock and home button both “skip” to prevent burn-in. The term skip is used since the Twitter interaction is translated from Dutch. 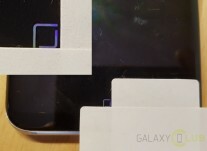 The guys over at Galaxy Club have performed a simple test and took some photos. They found that the home button “shifts” or “jumps” (which is probably what Samsung meant with “skip”) around, just a few pixels at a time to prevent the white from burning into pixels. We’ve already seen this with smartwatches that have an always-on setting. The clock usually shifts around in the same pattern as to prevent the same thing. You have nothing to worry about when using Always-on display, except for reduced standby battery consumption.